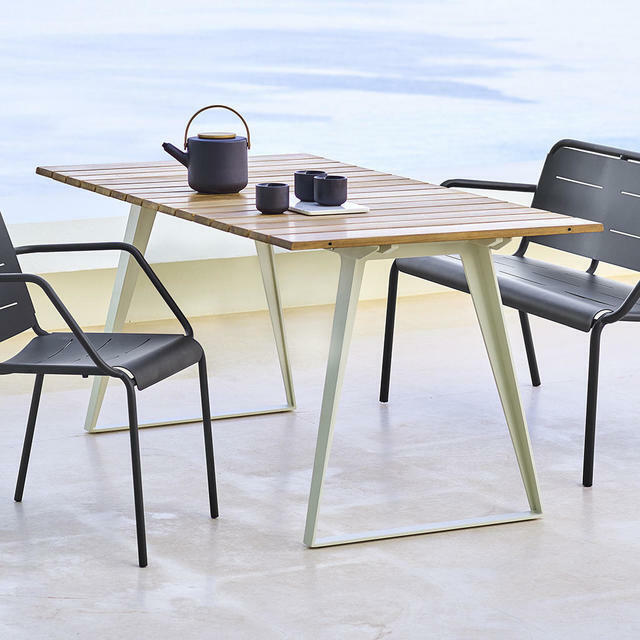 A minimalistic and highly contemporary table made from aluminium treated with an outdoor powder coating and a slatted teak top. 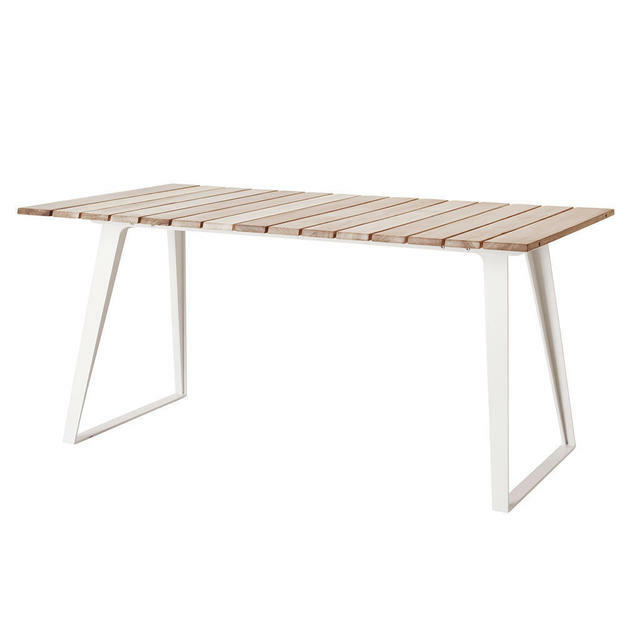 The Copenhagen table, can be used inside or outside. 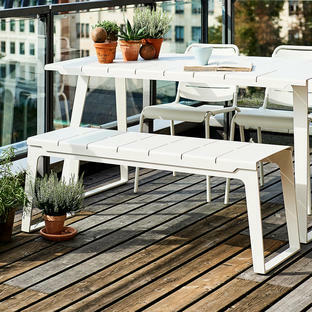 Together with the Copenhagen chairs and the Copenhagen Bench it creates a different setting for eating/relaxing with friends and family. Try with the chairs from the Less collection for minimal mix and match styling. Also available in the Copenhagen range is the Copenhagen rocking chair. 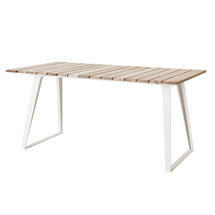 The teak table has 2 leaves which extends the table to 243cm. Seats 8/10 people. 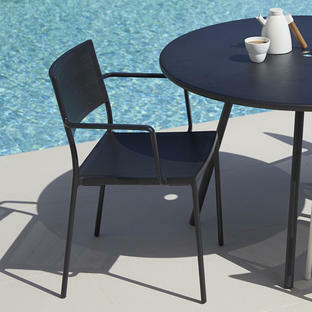 Table base and top are made from Cane-line Powder Coated Aluminium. 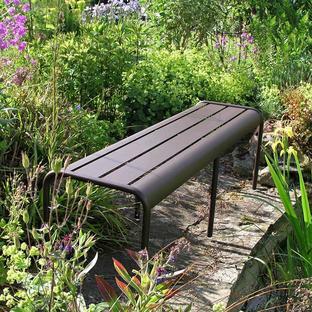 Requires minimal maintenance, simply wash the surfaces regularly to keep clean.